Adam Griffith has been appointed Australia's bowling coach for the World Cup, Cricket Australia announced on Monday (March 25). 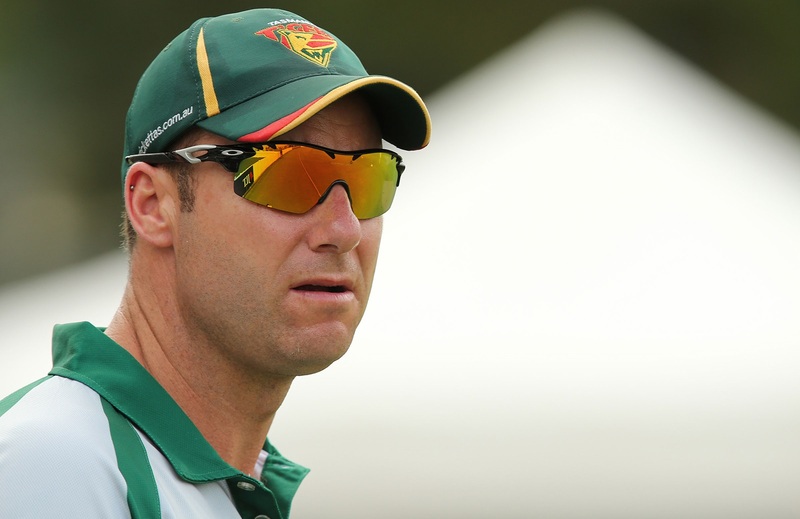 Troy Cooley, the former Tasmania player, will take up the role for the Ashes after the mega-tournament as both individuals will work with Justin Langer, the head coach. The duo will replace David Saker who resigned from his position in February. Griffith retired in 2011 and was appointed the head coach of Tasmania in 2017. He also served as the bowling coach for Australia for a brief while in April 2016 before Saker's appointment in July in the same year. Cooley, who has been working with the side as the bowling coach in the series against Pakistan, has been working as the National Cricket Centre Head Coach since 2011. Langer stressed both individuals are fantastic additions to the squad. "We are fortunate to have Adam join us for the World Cup, and Troy continuing with us for the Ashes Series in England," he said. "I've worked with Adam in the past at the WACA and been pleased with how hard he's worked to establish himself as one of the best young coaches in Australia. "While his primary focus will be on preparing our fast bowling group for the physical and mental demands of a World Cup in England, he'll also be a great educator and mentor for our entire squad. "Troy has been with us for our successful tour of India and the current tour of UAE. He's been a fantastic addition to our coaching team, and brings a great wealth of knowledge, experience and success having coached Australian and England teams in England. His focus will be to prepare our Test bowlers for what's shaping as an exciting Ashes Series in tough English conditions." Griffith played 50 first-class matches and 54 List A games during his career between 2002 and 2007. Cooley played 33 first-class matches and is considered a key figure in England's Ashes triumph at home in 2005. He was working with the side as the bowling coach when the hosts won the famed series 2-1. Belinda Clark, the Cricket Australia Interim Executive General Manager, felt the experience of both coaches will help the side. "Adam and Troy have extensive coaching experience, which we believe will help support our players to best prepare and perform in the upcoming campaigns. We would like to thank Cricket Tasmania for releasing Adam for this period," she said. "At the completion of the World Cup and Ashes series, we'll review the overall coaching structure and assess the best path moving forward based on the upcoming schedule, player needs and team direction under Justin." Australia start their World Cup campaign against Afghanistan on June 1 in Bristol. During the World Cup, Ashes hopefuls will assemble in Northampton on June 16 with the Australia A squad to start their preparations for the Ashes. The first Test of the five-match series will be played in Birmingham from August 1. Both Griffith and Cooley will officially start their tenure at the training camp in May ahead of the World Cup.